Is tiny the same as teacup? 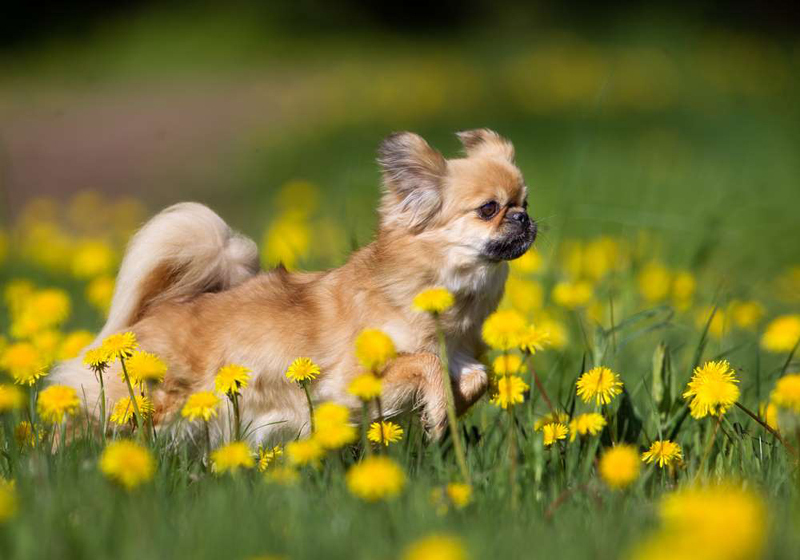 Our list includes tiny dog breeds weighing approximately six to 14 pounds. 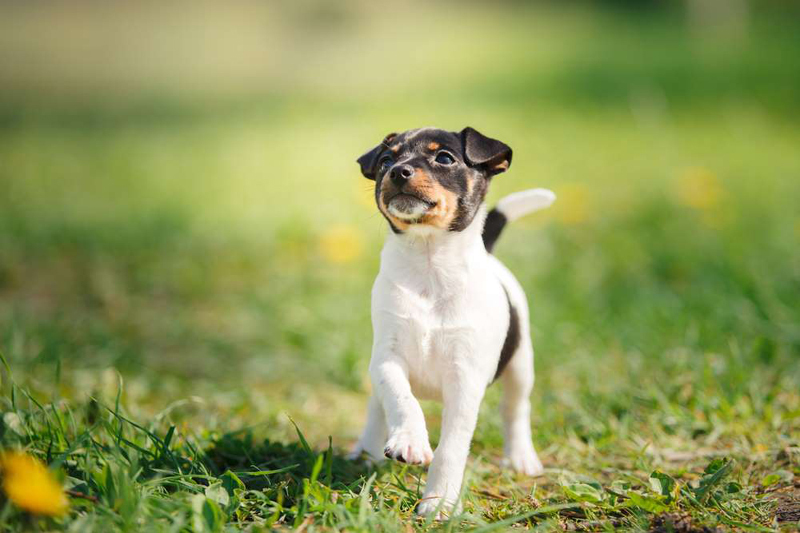 While we can't deny teacup breeds are super cute, these pups usually weigh only 4 pounds and are not recognized by the American Kennel Club (AKC). 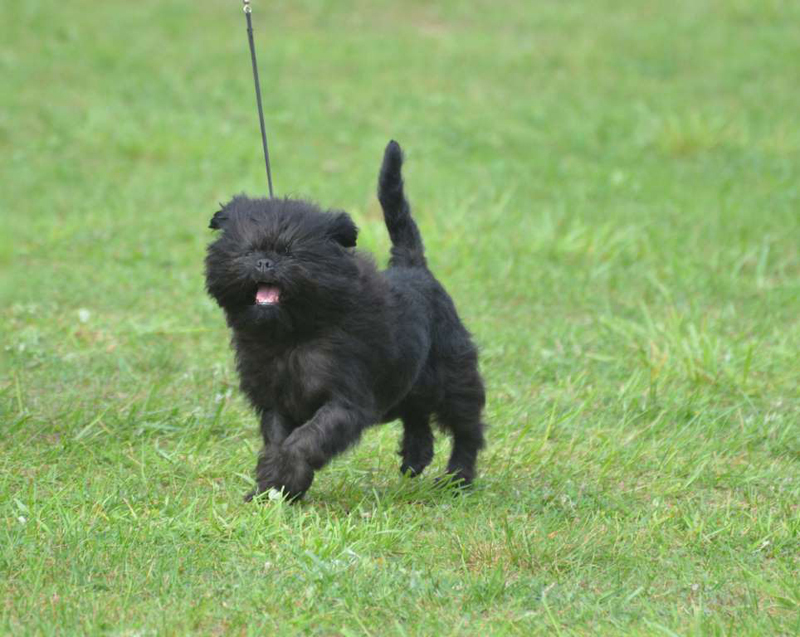 The AKC states, 'This is not an actual size classification and is usually attained through breeding runts. 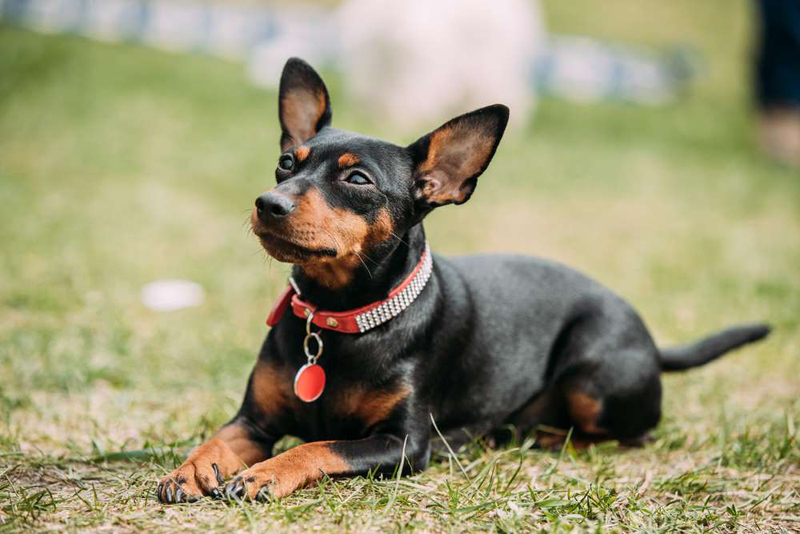 So-called teacup dogs often come with a host of health problems.' These include hypoglycemia, respiratory issues, heart defects, and digestive problems, just to name a few. Plus, they're so fragile and tiny that you have to be on high alert as a pet parent to prevent injury. 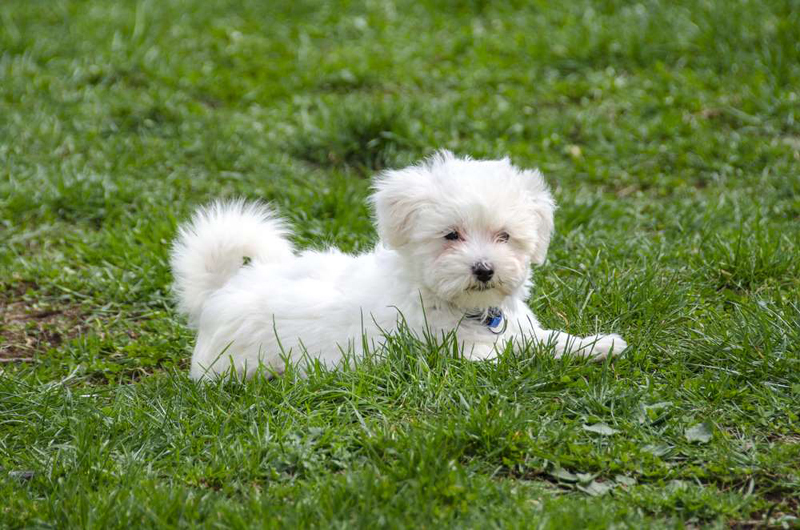 This adorable little breed packs a lot of cute attributes into its eight- to 12-pound body. Its trademark black muzzle and whiskers give it a distinguished beard highlighted by big, soulful eyes. 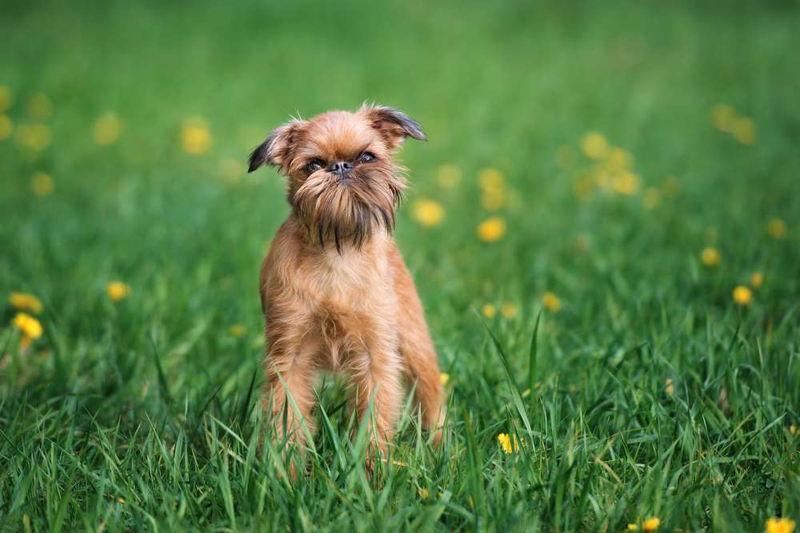 While adults and children alike are drawn to the irresistible cuteness, the Brussels griffon isn't a good choice for the rambunctious nature of younger children, but that doesn't mean it prefers solitude. Quite the opposite, they tend to stick close to their owner and are not fans of being left alone for long periods of time. If you're a Star Wars fan, you may be tempted to name this little charming and energetic furbaby after your favorite Wookiee or Ewok. Their tiny ten-pound frame is large and in charge when it comes to playtime. In fact, these pups may have more energy than the small children they lives with, making them a fun family addition. They're also friendly with other critters, but because one of their favorite pastimes is chasing and hunting pests, like rodents, it's not a good idea to have a hamster or gerbil for a roommate. What a perfect name for the trifecta of qualities this little breed holds. If you break it down, there's toy, meaning the toy group or what the AKC classifies as a breed small enough to fit in your lap (and yes, they love to snuggle). Fox—well, just look at that face! And finally, terrier, meaning this is also a feisty and fearless hunter of small rodents. When it comes to training, they get bored easily (I see a squirrel! ), so keep sessions short and sweet. This German-bred hound's body resembles a hot dog, but according to Animal Planet, the hot dog is actually mimicking the dog. Hot dogs were originally called Dachshund Sausages! That small, long body and pointy nose were bred for sniffing, hunting, and digging out prey without leaping from high surfaces to capture it. They're keen to what's happening outside and will bark when they sense people or a car driving up. Just don't let them jump down from a high guard post. Their long body and short rib cage make them prone to slipped discs. These super affectionate tiny dog breeds aren't spaniels at all (which are traditionally bred to be gun dogs). In fact, instead of fetching fallen prey, they prefer to pursue love. According to the AKC, spaniel, in this case, refers to epagnuel, a term used in the Middle Ages to describe a companion dog and comforter loved by the women of European and Asian courts. As the name suggests, the breed originated in Tibet; the dogs even perched atop the walls of the Tibetan monasteries keeping watch. Nowadays, they're easy to train and take delight in showing off their tricks and skills. Pronounced, 'co-TAWN-day too-LEE-are,' the seemingly pretentious French name isn't really befitting of its true character. These pups don't need to put on airs to impress; they're about as easy-going, lovable, affectionate, and comical as you can get. 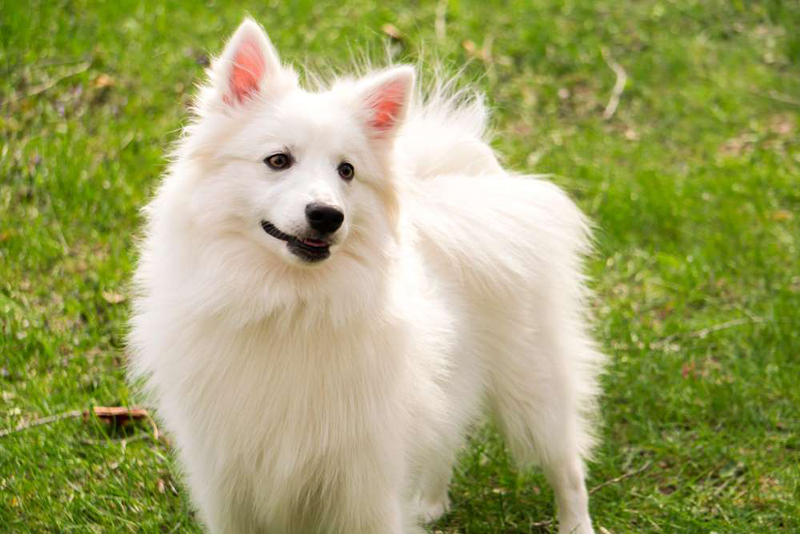 Known for showering kisses, clowning around, and walking on their hind legs, these fluffy white furbabies are outgoing and friendly to family and strangers alike. And if the Coton de Tulear couldn't be any more perfect, according to the AKC, they rarely develop have genetic health issues. Originally from the island of Malta, this dog is known for its glamorous, long, silky white hair and that famous top knot adorned with clips, ribbons, or bows. The Maltese is definitely the diva of tiny dog breeds and can be overly dependent on their pet parents, so teaching them to embrace 'alone time' early on is essential. When you are with them, you will likely find them on your lap resting or waiting to be groomed; that glamorous look can't happen without constant brushing. 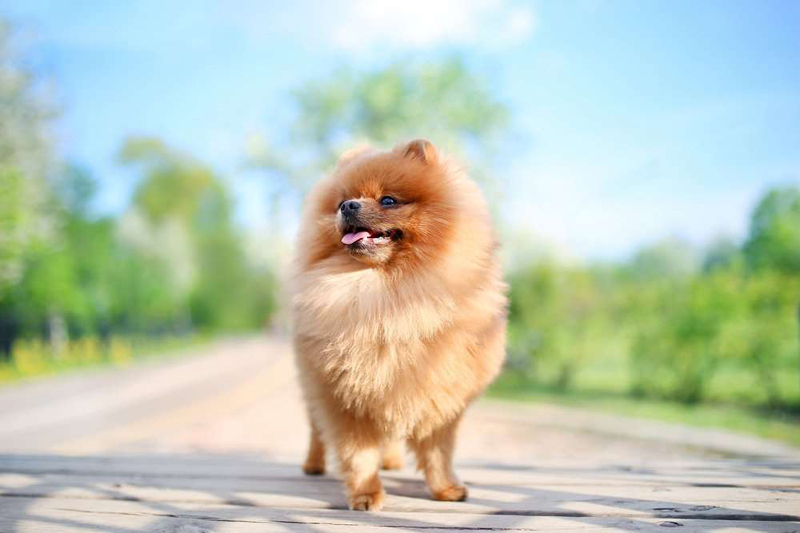 It's hard to fathom looking at the tiny modern-day Pomeranian now, but according to Animal Planet, its ancestors were much larger and pulled sleds in Scandinavia. It wasn't until the 19th century that they were bred to shrink to a lapdog size by request of Queen Victoria, who wanted a smaller version. (Sitting on a lap in a castle as opposed to pulling a sled in freezing cold weather probably wasn't a bad trade-off.) Whether in a castle or with the common folk, these dogs work the room like it is royalty, strutting a massive ball of fluff and flashing that smiling foxy face. 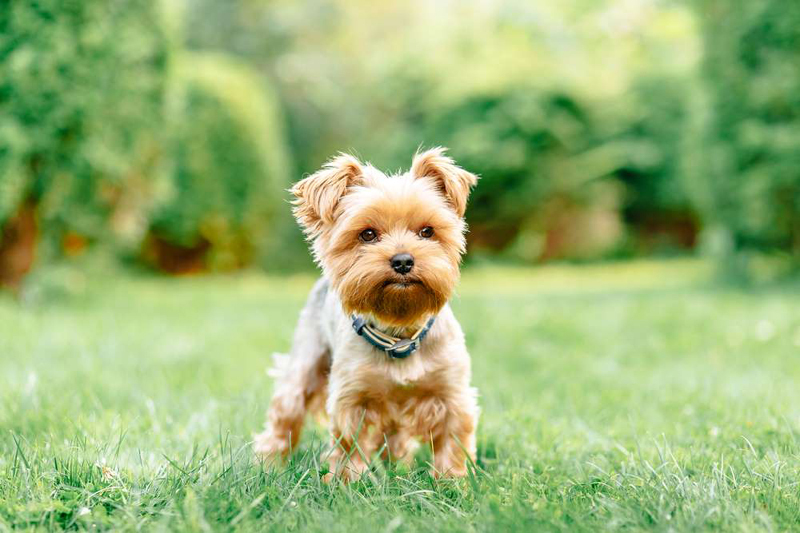 When it has the traditional show cut, the Yorkshire terrier turns heads with its long, glossy, and oh-so-flowy coat. 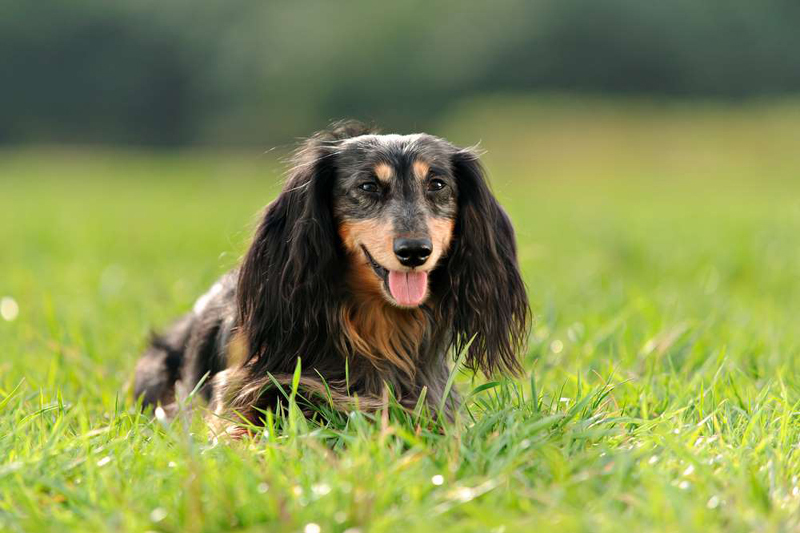 But the long locks are actually hair, not fur, and if that coat is kept long, it will need daily brushing. 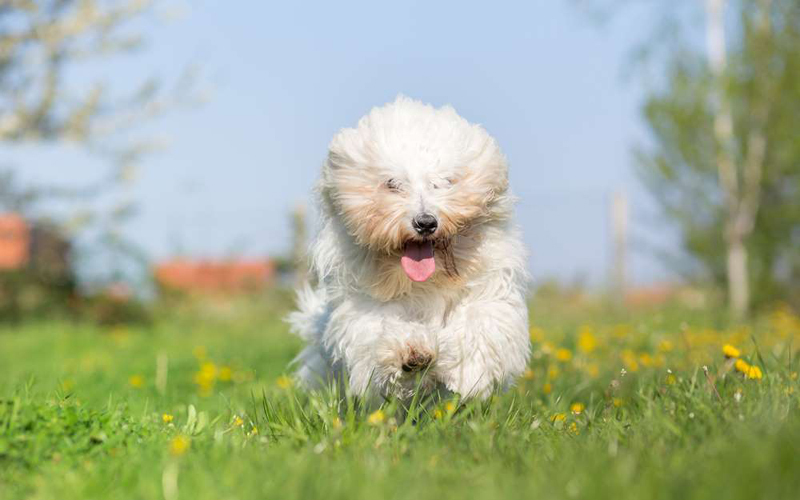 But this breed doesn't have to sport the froufrou look; in fact, the shorter cut is probably responsible for the breed being known as the 'tomboy terrier,' tenacious, spunky, and curious. They're well suited for canine sporting activities that showcase their speed, action and agility traits. 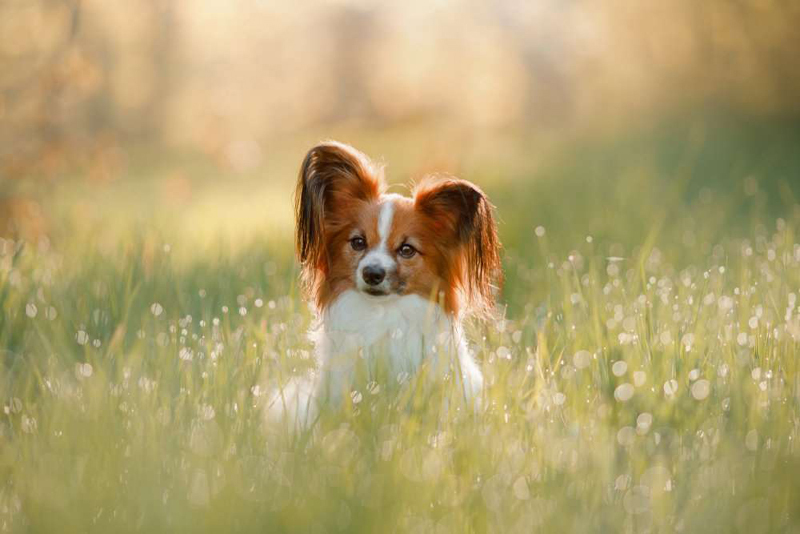 There's no mistaking those trademark ears on the Papillon. Some say they offset that tiny face, but most agree that they look like butterfly wings, which is how this breed ended up with a name that means 'butterfly' in French. Don't mistake this dog as being uppity or uptight; it likes to cut loose and zip through an agility obstacle course and retrieve flying objects, all while displaying a cheerful, curious, and clever personality. This is a chill kind of dog, and we don't mean that because 'Eskimo' is in its name. This breed really has a well-balanced personality that's neither overly aggressive nor painfully shy. Eskies, as their affectionately known, seem to consistently have a friendly smile and sweet expression. It's hard to believe they only weigh around ten pounds with all that white fluff. They actually have two coats: a dense undercoat and another longer coat of guard hair. They're likely to dazzle you with their ease of learning new tricks and their speedy agility in dog sports. Talk about cuteness overload! You'll want to scoop up this adorable and cuddly furball and snuggle all day but remember: 'Terrier' is part of their name. 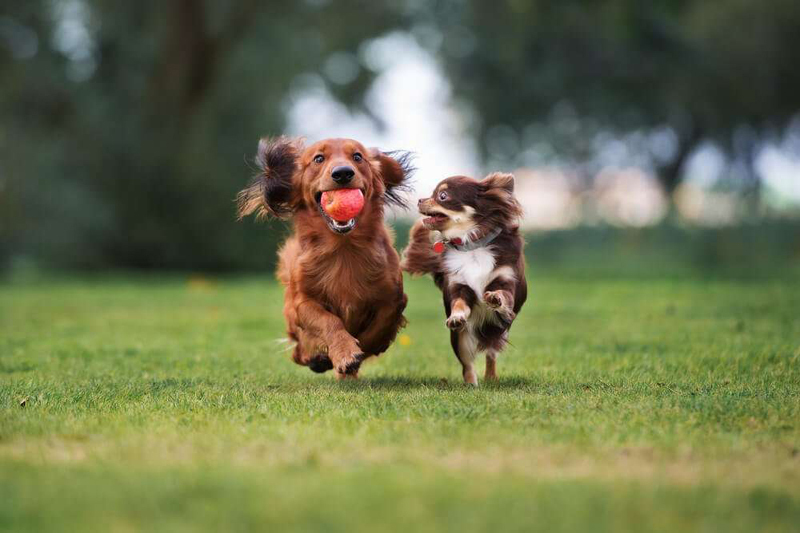 They're spirited, outgoing, and friendly, but they'll also chase any small thing that moves, so they probably shouldn't be trusted to play off-leash unless in a fenced-in yard. Plus, they're not so keen on small critters living in the same house. So yes, they will fit on your lap and might even linger for a few minutes of snuggling, but only after they've used up all their energy in playtime. Nope. These aren't mini Doberman pinschers. If these dogs could talk, they would politely refer to themselves as the 'King of the Toys,' as in the toy breed. The little lean machines are lively and vigorous and need plenty of activity. In fact, you'll probably tire out before they do. Their curiosity seems to be endless, and they're quick to pick up new commands. They give swagger new meaning with their distinctive hackney gait (a high knee and hock action) that looks quite showy; judges specifically look for that in competitions.